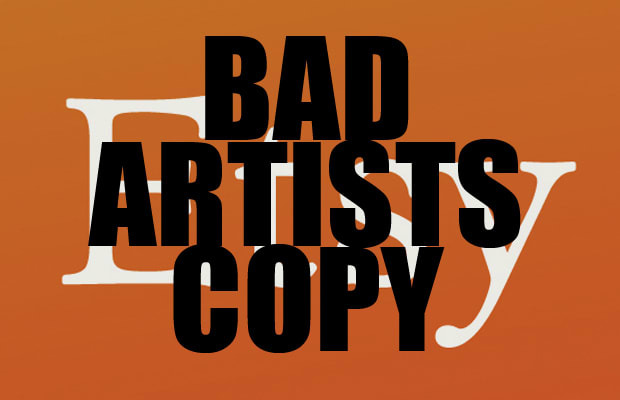 It was either Pablo Picasso, Leonardo Da Vinci, or another artist, songwriter or writer that once said that “Bad artists copy, great artists steal.” This is quite telling, as it really is close to impossible to find the original person who said that quote, and this certainty applies to Etsy reapportioning Pinterest&apos;s user interface for their own purposes. Despite their penchant for displays of custom handcrafted goods in their stores, this doesn&apos;t make Etsy itself a great artist, as it looks like their new Page functionality is more on the line of a copy rather than an artistic appropriation. The new Pages feature acts exactly like Pinterest, creating pages that show off the photographic styling of various brands that look identical to Pinterest. More than just a homage, Etsy looks as though it&apos;s just straight up ripping off Pinterest. And while they&apos;ll probably get away with it, too, don&apos;t think we haven&apos;t noticed.